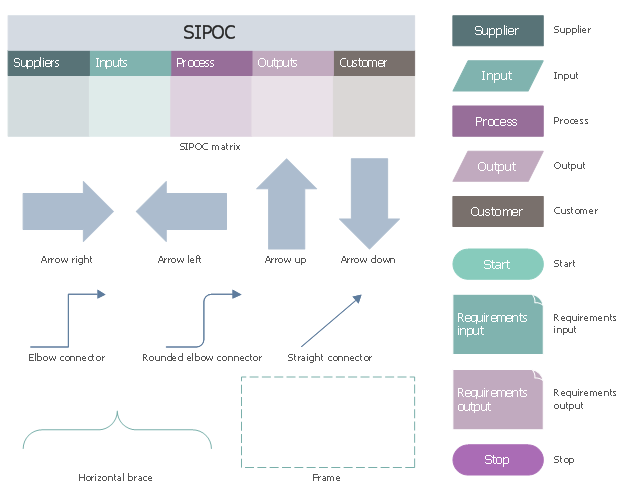 The vector stencils library "SIPOC diagrams" contains 19 symbols. 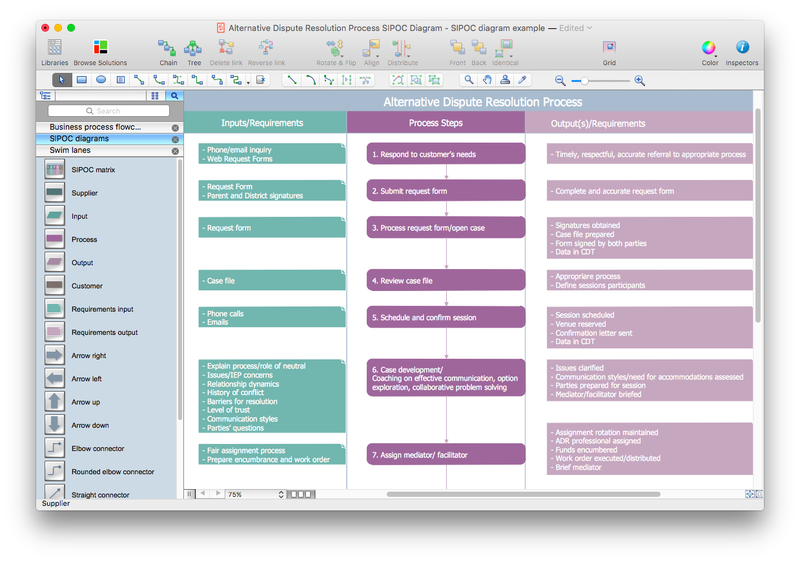 Use it for business process mapping with ConceptDraw PRO diagramming and business graphics software. 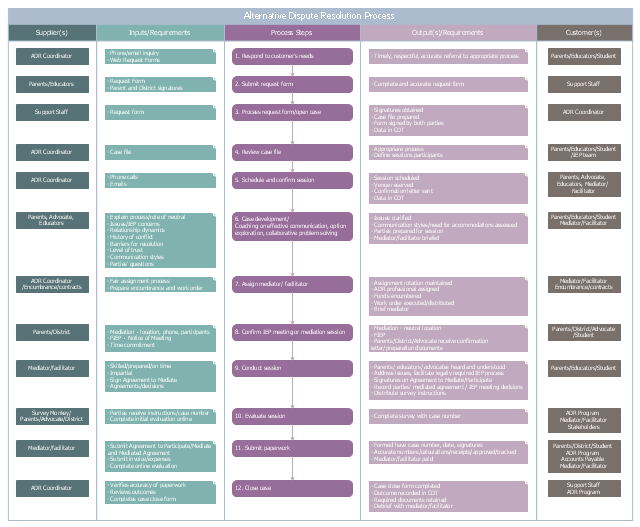 This SIPOC diagram example was designed on the base of the Alternative Dispute Resolution Process SIPOC Diagram on the Minnesota.gov portal. 5) Identify critical to quality requirements for the inputs, process steps, and outputs (you will have to verify this information later with data collection)."